Cameron2K - Arizona, illinois Amazing "Good price, great oil." 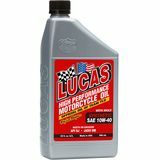 Rideorrun - Charleston Good stuff "I tried Lucas 2 stroke oil for the first time last week. With my old premix I experienced excessive amounts of smoke pouring out of the exhaust. 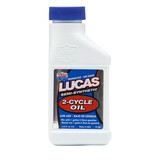 With this Lucas mixed with vpr fuel 50:1 ratio I can tell a huge difference. Def will purchase again from motosport"